Mallory’s fine--really—handling the wedding arrangements for her ex, Keith. But his fiancée, Becca, has at the last minute decided to switch from a Japanese-cherry-blossom theme to a Gone with the Wind theme. She wants to honor her ailing grandmother, who owns an impressive collection of GWTW memorabilia—and who is fiercely at odds with the groom’s mother over the nuptial plans. All appears peaceful in sleepy Port Quincy, Pennsylvania--but in this small town, old grudges die hard. . .
After dumping her cheating fiancé and cancelling the wedding, Mallory Shepard can't bear another disaster. 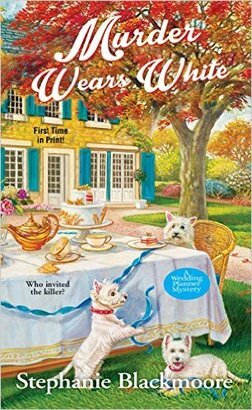 So when the former bride-to-be unexpectedly inherits Thistle Park, a ramshackle mansion in her ex's hometown of Port Quincy, it's a problem she can't afford--literally. 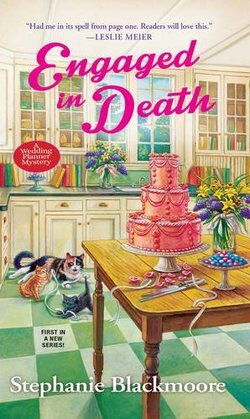 Abound with stray cats, peeling wallpaper, and nosy neighbors, Mallory is dying to sell it off--once she finally fixes up both the place and her messy life. . .